[as] > AEC CAD/BIM > SketchUp 3D Basecamp, here I come! This Sunday, I will be heading to Trimble’s SketchUp 3D Basecamp in Boulder, Colorado. This year’s iteration of the Basecamp is promising to be a great event. There will be lots of presentations showing what can be done with SketchUp once one masters the basics. 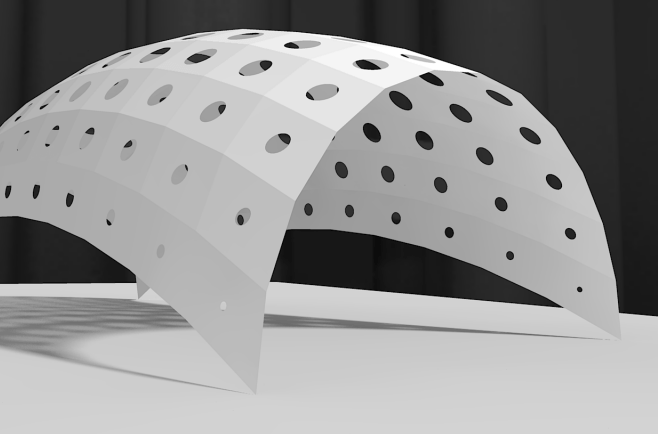 For example, rendering in SketchUp has a solid block on Tuesday’s agenda. And then there will be a keynote by Makerbot‘s Bre Pettis. Wednesday offers a full-day Ruby scripting workshop for those interested. For my part, I will on Tuesday morning show off how one can use Ruby scripting for design. This is an exciting topic, yet many people don’t even know that what others do in Rhino and Revit can actually be done in SketchUp, too. See the image on the right as an example. So if you are interested in this, don’t forget on Monday to vote for my talk and drop by on Tuesday morning. 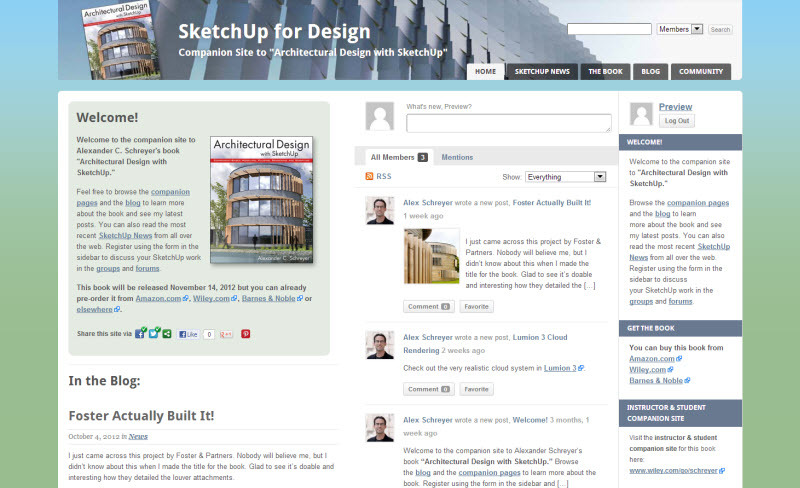 Finally, this weekend will also mark the release of the companion website for my forthcoming book “Architectural Design with SketchUp”. While the book won’t be available until November 14th (you can pre-order it already, though), the website already shows what it is all about and offers a blog, downloadable files, and a way to interact with me about the book. In the next few weeks, I will also post tutorial videos and free materials there.